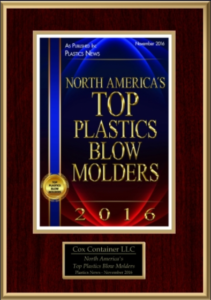 At Cox Container, we have a reputation as a preferred supplier to buyers of stock and custom blow molded containers. 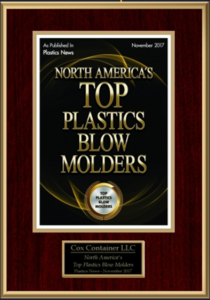 Our goal is to maintain this reputation through a daily commitment to produce the very highest quality containers available. We employ a basic corporate strategy that we feel has been vital to our success. 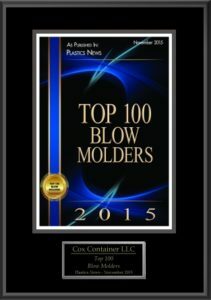 First, we focus on extrusion blow molding as our only manufacturing process. Secondly, we seek to establish long term packaging “partnerships” with selected customers. Finally, we back all of our products with customer service that our customers tell us is unequalled in the industry.